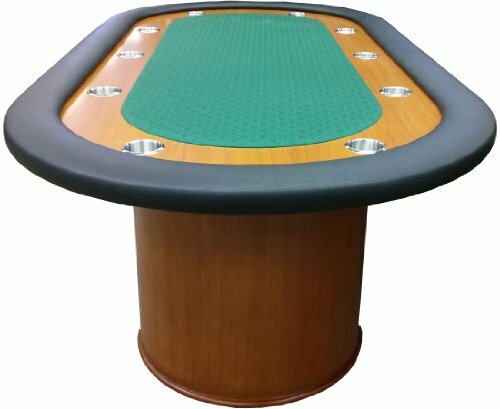 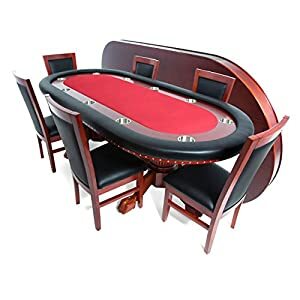 This 84″ furniture quality poker table will compliment any game room. 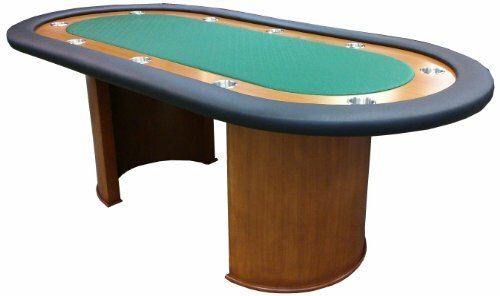 It comes with removable 10 stainless steel drink holders, suede layout and heavy duty vinyl armrest. 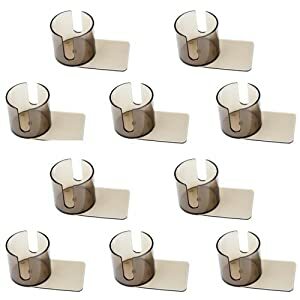 Drink holders fit normal soda cans or beer bottles perfectly. 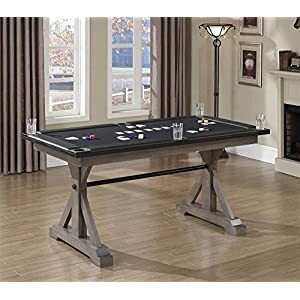 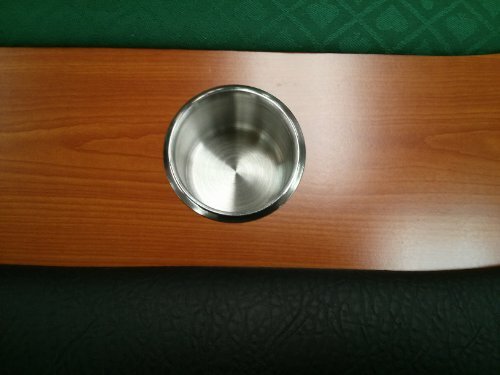 In case of a spill or rip to the layout it can also be replaced on this table. 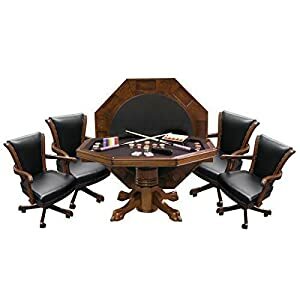 Requires attaching the legs to the table part, but does not require any special skils or tools.